his is of course a coincident (although some say there are no coincidents) that when preparing a monographic article on the XRCD technique, I listened some of the discs using the Japanese TAD Compact Evolution One loudspeakers and the 聖Hijiri H-LSC „Million” speaker cable. The latter came from the artisan, Mr. Kazuo Kiuchi, who also owns the XRCD24 brand. These relationships are even deeper, because his components and accessories, for example power cables, interconnects and speaker cables, as well as anti-vibration elements, are used in the Japanese JVC studios, where remasters are made for this type of releases. Coincident? - you can decide yourself. 聖 Hijiri, in Japanese meaning 'maestro' or 'important leader', is the brand presented by Kiuchi-san in 2015. In Combak Corporation's, the mother company, lineup it became something of the "next step" in relation to the Harmonix brand. In turn, with the appearance of the "Million" models, it became the top line. Let me remind you that an analog interconnect HGP-10R „Million” as well as Harmonix X-DC Studio Master Million Maestro power cable were presented, the latter still as part of Harmonix lineup. H-LSC "MILLION" is therefore the last piece of a puzzle, a system conceived as a whole, bearing the common name "Million", complemented by the "Sophisticated Listener's Choice" term. The latter is not just a description taken from promotional materials, but a part of the product's philosophy, sort of stamp or seal used by Japanese artists proud of their works. And what does "Million" stand for? As we read in promotional materials: "it is meant to symbolize the BEST OF THE BEST cable we make". The cable was being developed for three years and it shares its DNA with the X-DC Studio Master Million Maestro power cable. 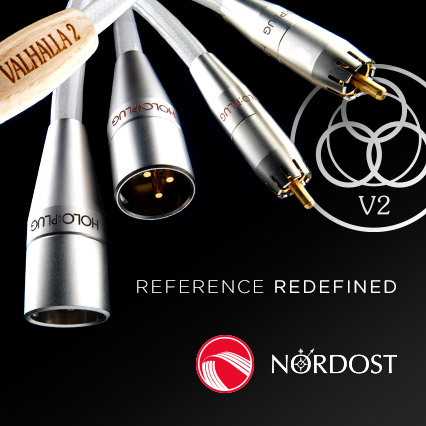 As usually in the case of small Japanese producers who direct our attention to music rather than technological aspects of their products (unlike many large corporations) there is very little information available about the design of this cable. What we know is that development took three years due to painstaking listening sessions that lead to numerous small changes in the design and "tuning" of the sound. We can safely assume that some listening sessions and comparisons were also held at JVC studios. The H-LSC cables are handmade, one pair at a time. They are made of copper wires, but we do not know what kind of copper. The only available information reads: "conductor material: own design and specially prepared copper". What we do know is that the copper is directional – arrows placed on heat-shrink suggest the correct connection. Solid spades these cables are terminated with, are made of silver-plated PCOOC. The standard offered lengths are: 1.5 / 2 / 2.5 and 3 m, but one can also order longer runs. Let's add that in the "Million" series, in addition to the aforementioned cables, there are also Harmonix TU-666M „BeauTone” Million Maestro 20th Anniversary Edition anti-vibration feet, that I have been using for a few years. The cables' look is exactly what one can expect from Mr. Kiuchi's product, which is extremely "personal". The box they come in is modest but striking and it resembles a beautifully wrapped gift. Opening it makes you feel as if you were openning a gift wrapped in a special paper. 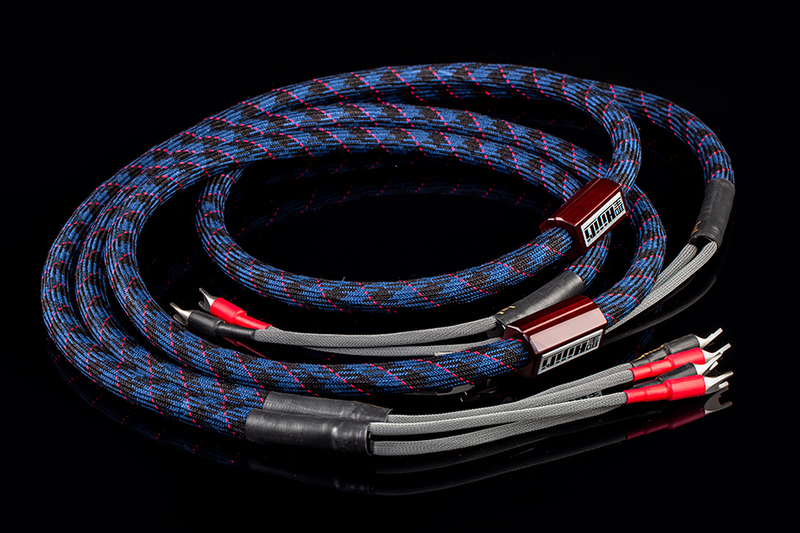 The cables are quite thick and nice-looking - they are finished with a three-color braid: navy blue, black and red. In the middle of cable's length there are wooden elements with a logotype, which also act as anti-resonant elements. It took Kiuchi-san a lot of time to select proper type of wood, size of this element and optimal placement on the cable. However, as I already said, he is an artisan who treats his works/products very seriously because they represent him to the outside world. 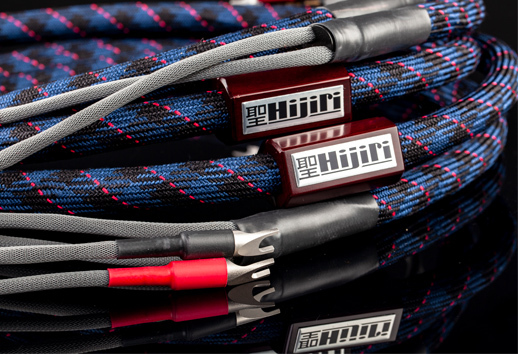 The 聖 Hijiri H-LSC "Million" speaker cables connected the Soulution 710 power amplifier and – successively - two pairs of loudspeakers: Harbeth M40.1 and TAD Compact Evolution One. For years, I have been using the Acoustic Revive RCI-3H loudspeaker cable stands so also the 聖 HIJIRI rested on them together with the cables they were compared to, i.e. to two other speaker cables sets: Siltech Triple Crown and Crystal Cable The Ultimate Dream. It was an A/B/A comparison with the A and B known. The music samples were up to 2 minutes long, but I also listened to the whole albums.